Hilary O’Keefe joined Octagon Legal in October 2016 following pupillage. Hilary completed pupillage under the supervision of Jonathan Goodman of Octagon Legal and Aswini Weereratne QC of Doughty Street Chambers through a pupillage scheme implemented by nplaw (Norfolk Public Law). 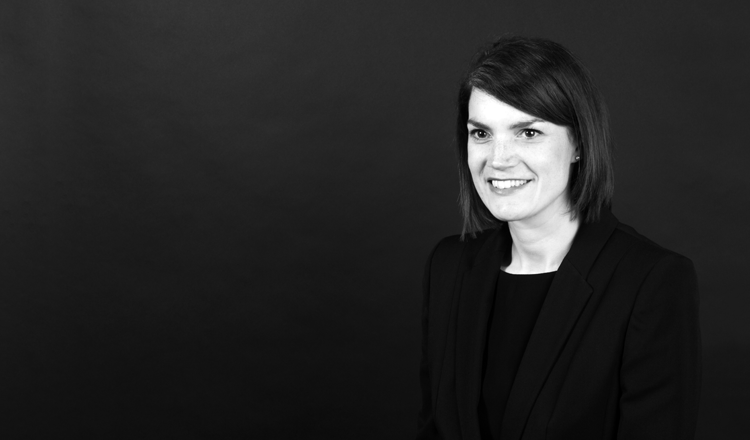 Hilary accepts instructions across a range of Chambers’ specialisms. During pupillage Hilary defended in criminal trials in the Magistrates’ Court and Youth Court and undertook case management hearings in the Crown Court. She acted on behalf of local authorities and families in proceedings in the Court of Protection, represented defendants in the County Court in housing matters and appeared in the Mental Health Review Tribunal. Hilary was awarded the James Hunt Prize for advocacy by Gray’s Inn in February 2016. Hilary has close connections to East Anglia having lived and worked in the region for the majority of her life. Prior to coming to the Bar Hilary worked for eight years in local government in Norfolk assessing the local authority’s statutory duties to the homeless in accordance with Part VII of the Housing Act 1996. During this time Hilary developed extensive experience of dealing with vulnerable people, many of whom had mental health issues, substance misuse issues, had fled domestic violence or had left prison or local authority care. Hilary then worked for three years as a Legal Officer in local government providing advice and support to Adult Social Services on matters of the Mental Capacity Act 2005, proceedings in the Court of Protection and inquests, and gave advice to schools on matters of education law. Hilary also undertook voluntary work as an Appropriate Adult in police custody protecting the rights of juveniles and detainees with learning difficulties and mental health issues in police custody and during police interviews. Hilary therefore has considerable experience of dealing with people from all walks of life and understands the challenges faced by public bodies in meeting their statutory responsibilities.